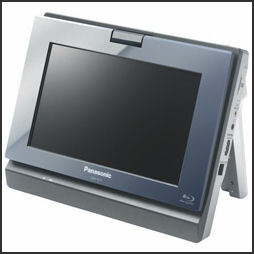 Japan is a leader in high-tech liquid-crystal display screens used on computers and cell phones. In 1996, Fujitsu and other Japanese electronic companies introduced the first flat screen televisions using plasma-technology panels. Early models sold for $10,000. After being heralded as the next big and sucking up $8.3 billion in research and start up costs, analog high definition television (HDTV) was obsolete before it even fully reached the market. It lost out to digital HDTV, which, with the help of an inexpensive "smart box," could combine the function of a television and a computer. Analog uses radio waves to transmit information while digital uses a computer style code that is cheaper to broadcast. The price of a 42-inch flat-screen television sold in the United States fell from $917 in 2008 to $634 in 2010. When all the Chinese factories come on line analysts predict the price of a 32-inch LCD panel will fall about 40 percent from the $200 range in 2010 to about $120 in 2012. The sale of flat screens televisions increased 95.3 percent in 2010. Japanese electronics companies were hurt by price cuts and sluggish sales of flat-screen televisions in the U.S. in late 2010. In Japan things were better. Shipments of flat-panel televisions in Japan totaled a record 25.19 million units in 2010, up 84.5 percent from the previous year. Sales were supported by the government’s ?eco-point? incentives. Blue-ray players and recorder-players also sold well. In February 2011, Toshiba and Mitsubishi said the would stop making television and blue-ray disc recorders that automatically skip commercials bowing to pressure from the National Association of Commercial Broadcasters in Japan. The price of 32-inch flat-screen televisions fell from ¥52,700 to ¥ 45,300 in July 2011 as the switch from analog TV to digital TV was made in Japan. Flat-screen TVs were previously considered a luxury item because their price was about 10,000 yen per inch. Technical developments and improved production reduced their prices and they have appeared in many households. 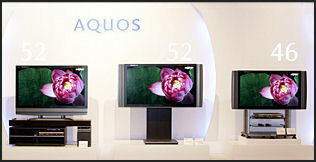 The current price-per-inch of about 1,000 yen is making it difficult for TV manufacturers to turn a profit. in August 2011, the Yomiuri Shimbun reported, ?Toshiba Corp., Hitachi, Ltd. and Sony Corp. have basically agreed to jointly establish a company to manufacture small and midsize liquid crystal display (LCD) panels by year-end in a bid to compete with South Korean and Taiwan rivals, it has been learned. According to industry sources, the envisaged company, intended to integrate the three companies' businesses in the field, will be partly financed by the Innovation Network Corporation of Japan, a private-public investment fund established in 2009 to support next-generation businesses. The new company's global market share is expected to be the world's largest, as the three companies' combined share in the field in 2010 was 21.5 percent, exceeding Sharp Corp.'s leading 14.8 percent share. In the early 2000s a Betamax-VHS-like battle developed which format would be the standard in video disc player. Sony and Panasonic developed the Blue-Ray disc while an alliance of NEC and Toshiba developed the HD-DVD format. In 2005, Sony and Toshiba discussed a unified DVD format. But in the end decided to go their separate ways. By that time Samsung, Sharp, and Apple supported Blue-Ray. The outcome of the battle depended a lot on which Hollywood companies would back which format. Disney, 20th Century Fox, and Sony supported the Blue-Ray DVDs while Warner Brothers, New Line Cinema, Paramount and Universal said they supported HD DVDs. Competition between Blue-Ray and HD-DVD formats made consumers wary and delayed delivery of either system. Machines that played both formats were introduced in mid 2006. They sold for about $1,200. Around the same time Warner Brothers announced that it developed discs, called ?Total HD Discs?, that played both Blue-Ray and HD-DVD formats and played on both Blue-Ray and HD-DVD players. As of late 2007 about 1 million players using both of the formats had been sold. blue ray player In February 2008, Toshiba announced it was abandoning the HD-DVD discs, meaning that Blue-Ray would be the standard for the next generation high-definition of video recording. Investors applauded Toshiba for its decision. Shares of the company rose 6 percent. Sony’s stock rose by 1 percent. For Sony it was redemption for its loss in the VHS-Betamax battle in the 1970s. Consumers also applauded the decision. They could now buy a single machine to cover all products, with competition bringing down prices for machines. Before the decision was announced more and more Hollywood companies and big U.S, retailers including Warner Brothers, Amazon and Best Buy were supporting Blue-Ray. The nail in the coffin for HD-DVD came in early February 2008 when Wal-Mart announced it was picking Blue-Ray. It is widely thought that Sony CEO, a former CBS executive, was able to persuade movies distributors to back Blue-Ray. In April 2008, the sale of Blue-Ray recorders exceeded those of ordinary DVD recorders in Japan for the first time. With conventional 3D the television project different images to the viewer’s right and left eyes at high speed, and 3-D images are reconstructed in the brain. Using 3-D glasses a viewer cannot see an image intended for the right eye with the left eye and vices versa. The system creates stereoscopic images. In May 2010, the Economy, Trade and Industry Ministry set 3-D guidelines in part to standardize the industry and deal with problems such as eye strain and queasiness caused by the technology. Among the biggest attention-getters at the CEATEC technology and electronic trade show in October 2010 were the latest 3-D technologies, including a 3-D theater that simulated being in a futuristic city, Toshiba’s 3-D television that doesn’t require glasses. Sony and Victor released 3-D video cameras in early 2011. The release was partly intended to help boost sluggish sales of 3-D televisions. 3-D televisions made up only 5 percent of sales in 2010. One reason for poor sales is the shortage of 3-D movies and TV programs.